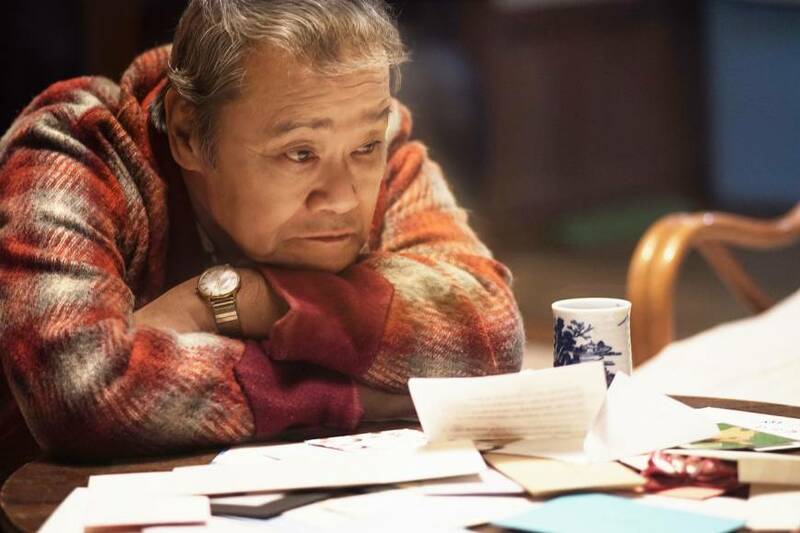 Japanese critics are calling “The Miracles of the Namiya General Store” the “most tear-inducing” story ever adapted from a Keigo Higashino novel. The best-selling author has penned such sensations as the thrillers “The Devotion of Suspect X” and “Journey Under the Midnight Sun,” but “Namiya” went a different way and instead demonstrates Higashino’s hidden flair for feel-good stories. Brought to the screen by Ryuichi Hiroki, a master of the genre, “Namiya” comes off like the Japanese version of a Nicholas Sparks vehicle, minus the love story. There’s a relationship at the center, but it isn’t a romantic one: Sixty-nine-year-old veteran Toshiyuki Nishida pairs up with 24-year-old Ryosuke Yamada from idol-pop group Hey! Say! Jump. 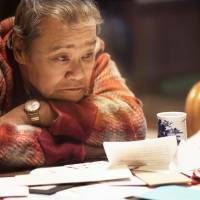 Nishida stars as the titular Namiya, who owned and ran a general goods store in 1980, and is beloved by the neighborhood as a dispenser of life advice. People would write letters spilling their hearts out and drop them in his mailbox, and Namiya would duly reply with another letter deposited in a private postbox. These days, he’d be called a life coach and could probably make millions. Back then, he was a nice old guy who just liked to help. Yamada’s Atsuya is one of a trio of orphans who grew up, left “home” and, in 2012, are up to no good. One night they seek temporary shelter in an abandoned store that turns out to be Namiya General. From here on, the story is split into two timelines as they start receiving letters dated from 32 years back, deposited into Namiya’s post box. These turn out to be the ones the owner never got around to answering and the trio take it upon themselves to concoct replies on his behalf. They may not have Namiya’s aged wisdom but they do have three decades of history to refer to. For example, a girl who’s torn between training for the Olympics and caring for a sick boyfriend is told to do the latter because Japan is going to boycott the games in Moscow anyway. The post box magically delivers the boys’ letters back in time to 1980, and the story gradually reveals why Namiya couldn’t reply to those people in the first place and what happened to them in the ensuing years, based on the advice doled out by the trio of kids from the future. There’s a lot of misty-eyed nostalgia in “Namiya,” especially for the way things were in 1980 when the country wasn’t yet spoiled by wealth and things were more relaxed. Even in Tokyo, there were hardly any convenience stores and housewives routinely shopped at neighborhood establishments like Namiya General. The Japanese have a soft spot for such cozy mom-and-pop stores, sentō (public baths) and family-run shokudō (diners) — all of which have been replaced by 24-hour convenience stores and Saizeriya franchises. As for letter-writing, we all know what happened to that little ritual. Clearly, director Hiroki misses those times because he pours a lot of love and care into re-creating what it was like in 1980. But he goes over the top sometimes and the cheesiness gets so thick you’ll be tempted to run to the nearest convenience store for a box of crackers, the strains of the theme song (by ’80s icon Tatsuro Yamashita) ringing in your ears.